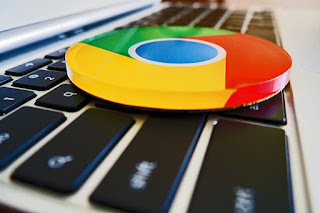 Starting February 15, Google will commence blocking certain ads in Chrome, in compliance to the standards established by the Coalition for Better Ads, to which Google subscribe. While the blockade isn't applicable to all ads on websites, its intended to curb the overtly intrusive ads format. And if any ad displayed on the site doesn’t meet the stipulated standards, even when the rest are in compliance, still blockade on the sites ads will take effect. Google, nonetheless gets a huge chunk of its revenue from direct ads; as such the move isn't what most marketers have expected from the tech giant, even though the company is already working with its publishers to make sure they’re in compliance with the new standards. The implementation of ad-blocking on Chrome aims to enhance users experience, as the rate of intrusive ads that ruin their experience, is on the increase. Google is hoping that by building its own ad-blocking into Chrome, will prevent users from having to resort to more restrictive third-party ad blockers that potentially cut into its own ads revenue. The Coalition for Better Ads is made up of leading international trade associations and companies involved in online media, with the goal of improving consumers' experience with online advertising. It aims to leverage on consumer insights and cross-industry expertise to develop and implement new global standards for online advertising. It quite unbelievable that Chrome of all the browsers would introduce ad block. That is good. I am always suffering with this ads. Very disturbing. But if they block ads how the people earn with pop under ads? Hope those ad marketers burn Google for this move.